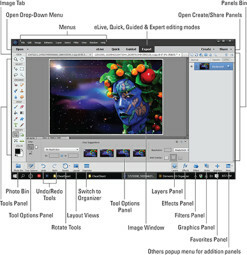 As you edit images in Photoshop Elements, you need to know your way around the Editor workspace and the Tools panel — especially the selection tools. Check out the visual reference to the Photo Editor and the Tools panel keyboard shortcuts, as well as the table of Photoshop Elements selection tricks. Having these references by your side will help you edit images in Photoshop Elements quickly and easily. 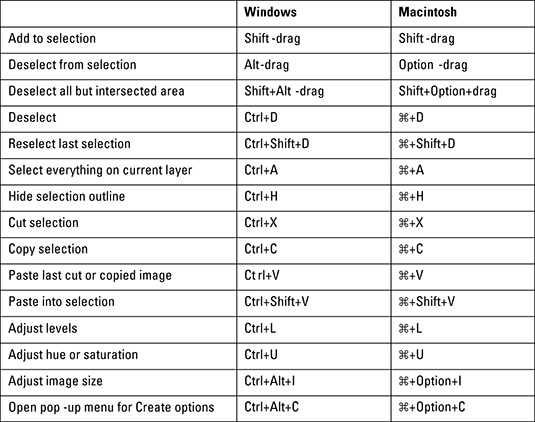 Note: This Cheat Sheet applies to Photoshop Elements 15. If you want to pluck an element out of its environment and stick it in another image in Photoshop Elements, or apply an adjustment to just a portion of your image, you need to create a selection around that element. Finding out how to make accurate selections is one of those skills that’s well worth the time you invest. 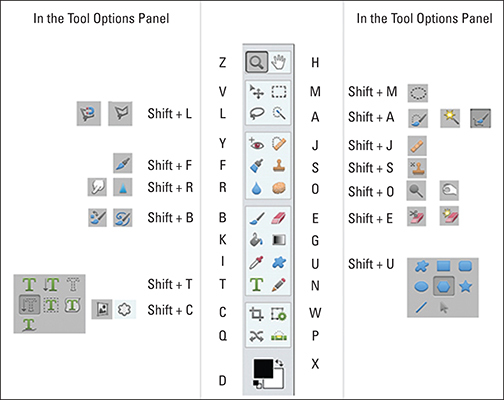 Here are some handy keyboard shortcuts that enable you to refine a selection in Photoshop Elements.